The Roche Limit Colony lies at the cusp of an energy anomaly in the Andromeda Galaxy, and has become a magnet for greed, crime, a place where people disappear. In Roche Limit, Volume 1, the March graphic novel by Michael Moreci (Hoax Hunters, Hack/Slash) and Vic Malhotra (The X-Files: Year Zero), Sonya Torin wants to find one of those who have disappeared, her sister Bekkah, who came to Roche Limit to help Recall addicts. Sonya’s only help on the corrupt, lawless colony in finding her sister is Alex Ford, a shifty drug manufacturer with his own set of pursers who are after his Recall formula. 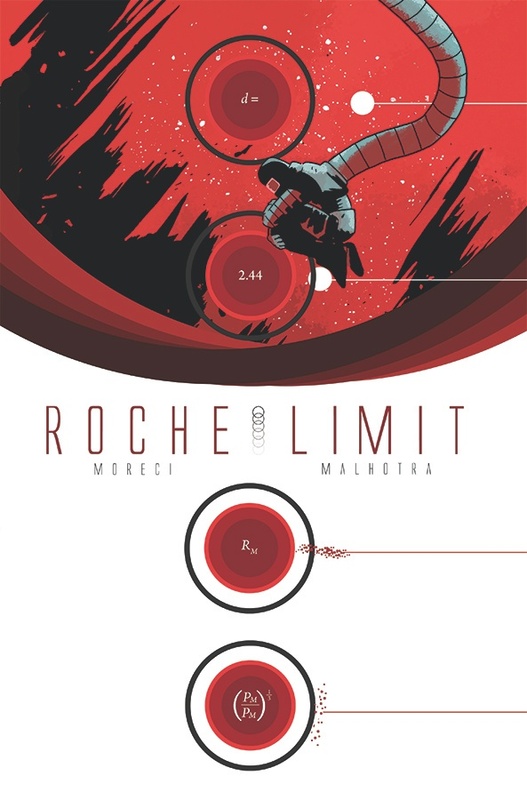 “Both noir and sci-fi are perfect genres to employ for Roche Limit because both have deep underpinnings in existentialism/fatalism,” said writer Moreci in an interview with Comic Bulletin, “I want to explore that intersection of existentialism and popcorn fiction as only genre fiction can.” Artist Malhotra inhabits Roche Limit with weary denizens who move through a lived-in, often dilapidated and grimy setting. “I find it really tough to get my imagination going with stories set in sleek sci-fi settings. The sense of history is lost,” he said in the Comics Bulletin interview. Roche Limit, Volume 1, the first book of a planned trilogy, will be in comic book stores on March 25 and in bookstores on April 7. It is available for pre-order now.